Who is letting down unionists 'west of the Bann'? WHEN the row erupted in December 2012 over the lowering of the Union flag on Belfast City Hall, unionists railed against the decision to limit its appearance to designated days. Unionist MLA Basil McCrea was one of the few at the time who argued that flying the flag on limited special occasions would actually be a good deal for unionist communities living elsewhere in nationalist-controlled council areas. Across large swathes of Northern Ireland, unionist communities no longer see the flag over their council building at all. But that argument did not get traction among unionist leaders in Belfast. It may not have been possible for the DUP and UUP to wrestle a Northern Ireland-wide deal on flags out of nationalists at Stormont, but the position of rural unionists did not even feature in the white heat of the Belfast debate. The violence and political turmoil that was sparked by the flags dispute led eventually to the Haass talks in 2013. The agenda of the negotiations included flags and dealing with the past, but also the issue of emblems. If a deal on flags was not possible, a deal on emblems might have led to a Northern Ireland-wide agreement on what was acceptable and what was not acceptable for public display. It would have been an attempt to find room for, not only British, but also Irish emblems and those of other identities to sit together as of right in public buildings and in public spaces. But the Haass talks ended without agreement and there was no deal on emblems. Last year political negotiations had to be re-organised by the British and Irish governments to avoid a collapse of the Assembly. 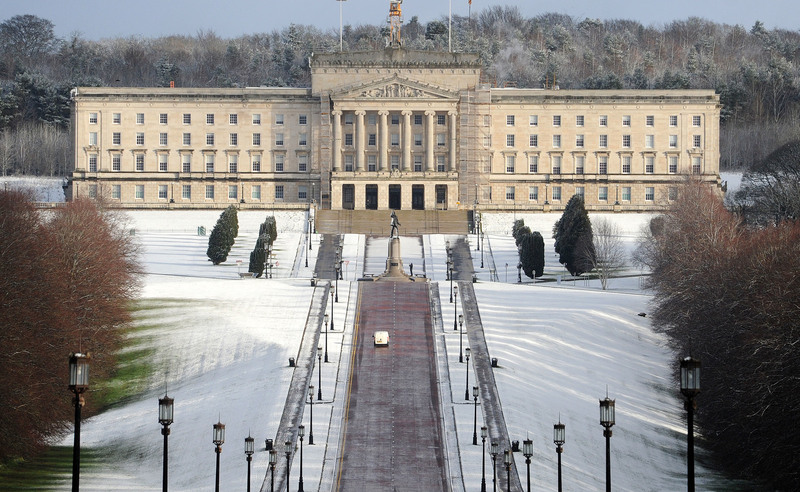 That led to the Stormont House Agreement, which covered a lot of issues, but failed to reach a deal on an Irish Language Act for Northern Ireland. So in recent negotiations, politicians missed the chance to agree on Northern Ireland-wide policies everyone could live with on either flags, emblems, or the Irish language. In council areas where nationalists hold a majority, they are being accused of forcing through decisions against the wishes of unionists. It’s the kind of accusation that nationalists levelled at unionists in the past. At the moment it is minority unionist communities that feel aggrieved, but soon minority nationalist communities living elsewhere may face similar decisions they find uncomfortable. There is a new type of a battle-a-day politics in local government. The only thing that can protect the interests of unionists living in nationalist-controlled councils, or nationalists living in unionist-controlled councils, is for political leaders at Stormont to broker overarching safeguards and agreements that can avoid clashes over symbols and identity. The position of unionists living in nationalist-controlled areas is currently in the headlines after a number of councils confirmed plans for the prominent use of the Irish language, while there are also rows over the sale of the poppy and the Easter lily. But what is the remedy for unionists living west of the Bann if they are unhappy? Some of their political leaders at Stormont have boasted of blocking deals on flags, on the use of Irish emblems, and the use of the Irish language. But in an era of equality, politicians who promise to block everything are writing cheques they can’t cash. The failure to compromise on Northern-wide agreements has arguably fuelled a free-for-all at the newly created super councils. Unionist communities living in predominantly nationalist areas west of the Bann haven’t been entirely forgotten by their leaders in Belfast, but they could be forgiven for thinking they’re not very high on the list of political priorities. Do unionist electoral pacts weaken the Union?